The city of Valencia is Spain's third largest and has several beaches to visit. Mostly undeveloped, traditional and family-friendly they are perfect for a relaxing beach holiday in Valencia. We got our shorts and our sun cream out and went to explore the various beaches within easy distance of central Valencia. After all, Valencia is the perfect destination for everyone who enjoys both city life and beach fun. There’s no need to sacrifice one for the other when you book your accommodation in Valencia. 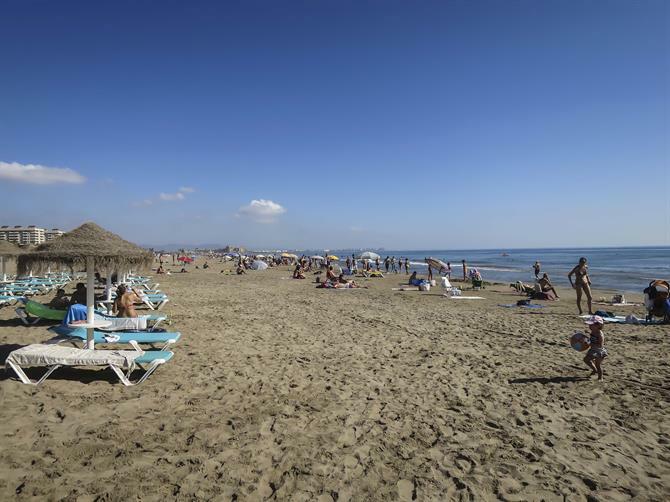 The most popular beach in Valencia that attracts the most visitors is the one that is nearest to the city, La Malvarrosa. This particular Valencian beach has never seen a lot of development, especially if you compare it to other large beaches in the area such as Benidorm. This is why La Malvarrosa remains largely clutter-free, clean, safe and popular with the locals. As a result, it doesn’t feel touristy but has a pleasant local feel to it. The beach offers a luxury of space and all the main facilities. There is a large promenade lined with palm trees and plenty of restaurants and bars, serving excellent local dishes like Paella or Fideuà. La Malvarrosa beach is split into three main areas, which are the Malvarrosa, Las Arenas and Patacona beaches, all of which are clean, family-friendly and a great place to spend a low-cost, relaxing time on holiday. Another plus is that these city beaches are easily accessible by bus or tram, or even by bicycle or on foot. You can, therefore, save money and stay in a holiday apartment in Valencia city, enjoying time at the beach in between cultural activities or going out in the city. Slightly further out of Valencia and again very popular with the locals and those ‘in the know’ is the beach of El Saler. 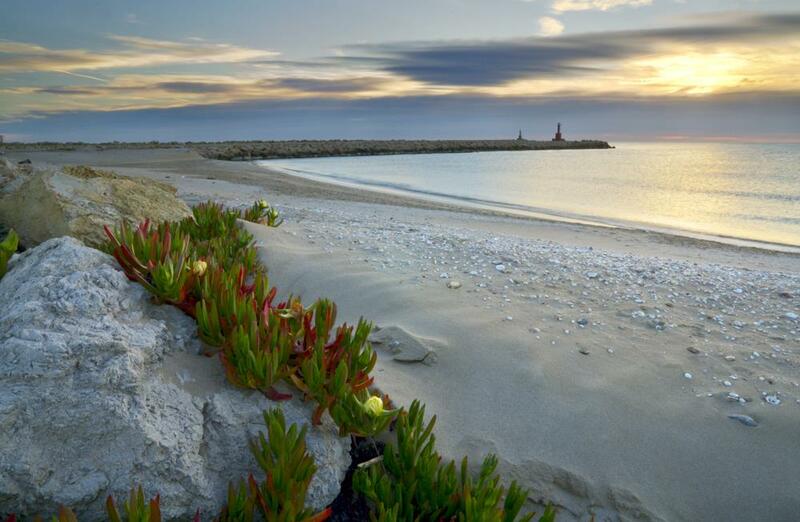 The beach of El Saler is located about 13 kilometres to the south of the city. El Saler is accessed by road only, via the V-30 road and then the CV-500 heading for El Saler, although a bus service does run from the city centre. 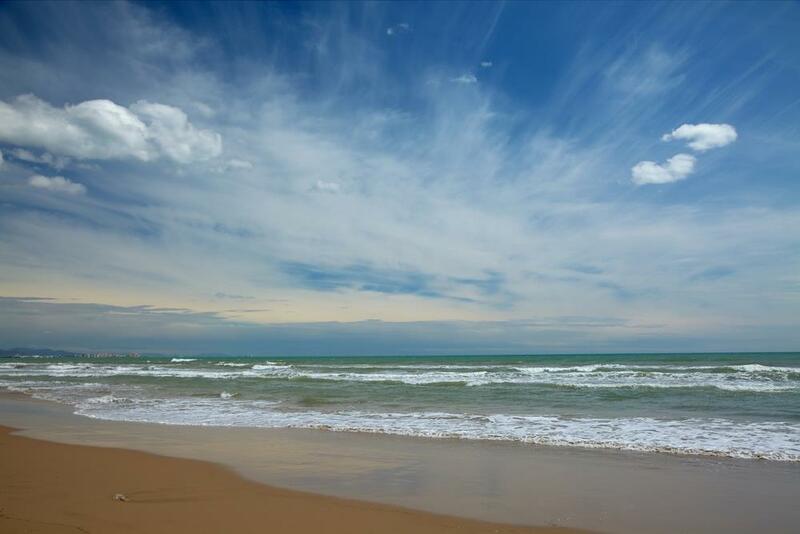 The Valencian beach is a windswept natural sandy area of almost five or six kilometres in length and surrounded by wonderful sand dunes, just waiting to be explored. This beach also has a well-known golf club, the ‘Campo de Golf El Saler.’ Many famous names from the golfing world have tackled its challenging course. It is adjacent to La Albufera Natural Park, a very traditionally Spanish area and somewhere that is recommended to explore via the various boat trips that are available out onto the natural lake. With its rice fields and fish, it is also famous for its delicious local food and among locals known as one of the best places in Valencia to have Paella. El Saler is a very peaceful place and great for wildlife spotting and gazing in awe at the crystal clear blue sky above you. For those wanting something not as quiet as this, we need to head a bit further north to the area known as Port Saplaya. This beach is also quiet but has better facilities as many Valencianos actually live here. Port Saplaya is a colourful building complex right at the beach, just seven kilometres north of Valencia city. It is easily reached by the dual carriageway V-21, or by Metro tube train towards Rafelbunyol. Get off at the Palmaret stop in the village of Alboraya, which Port Saplaya belongs to and from there you take a bus or taxi (about eight euros) from the station to the Port Saplaya beach area. Port Saplaya emerged from an old seaport area which used to be used for the exportation of the famous chufa or tiger nuts that are grown in the area. These little nuts that grow in the fields around the port are made into the traditional drink of Horchata, which you have to try if you visit. Today Port Saplaya is a residential area with a marina. The beachfront boasts some very nice places to have a drink, or a cold glass of Horchata, which in the UK would translate to something like 'Tiger nut milk'. 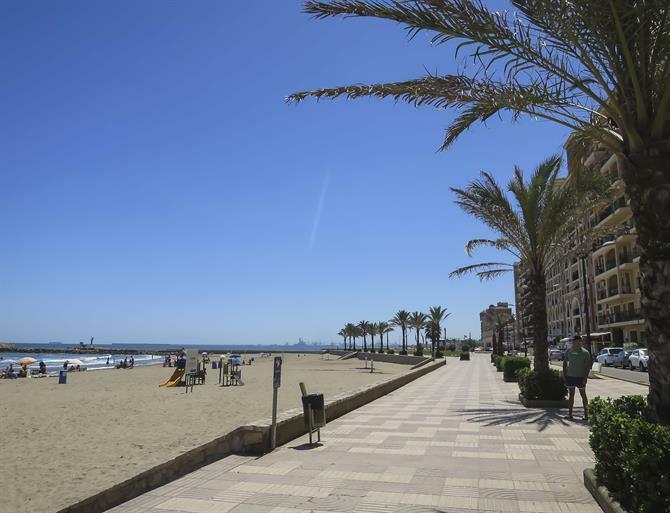 Not only does Port Saplaya have one of the best beaches in Valencia, but there are shops too, mostly located in the Alcampo shopping centre across from the beach, which also has a Mcdonalds and various cafes. Part of the Alcampo car park can be seen in the picture above. The tall building seen in the photo actually hides the huge secluded marina and holiday village that many visitors to the port never even realise exists! Simply find yourself at the roundabout on the seafront, walk towards the main building and you will find a small entrance. Stay in Port Saplaya for a unique beach holiday in Valencia, find yourself amongst boats moored next to tropical gardens, bars and lovely terraces, in what looks like somewhere in Venice. 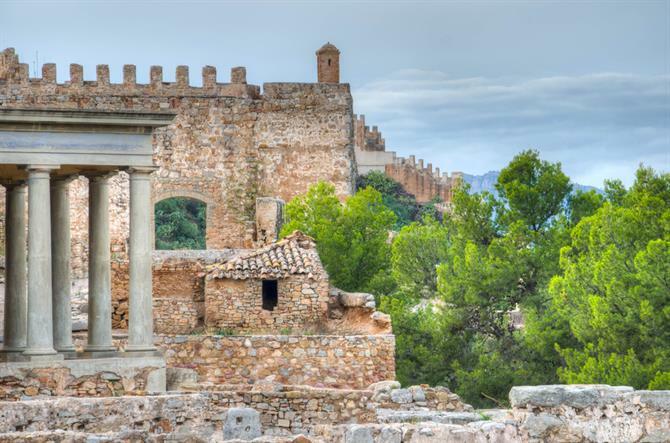 If you enjoy a quiet environment but you also love visiting historical sites, we recommend visiting Sagunto. The beach of Sagunto is a bit further out of the city and is reached by road (V-23) and rail quite easily. It is about a 20 minutes drive from Valencia airport. Sagunto is an ancient Roman settlement and is divided into the town of Sagunto itself and the beach area, which is quite busy in the summer and stretches for about a mile and a half. The town itself is worth a look around, especially in the main square and the Roman remains of which there are many, including the ancient Roman amphitheatre of Sagunto. 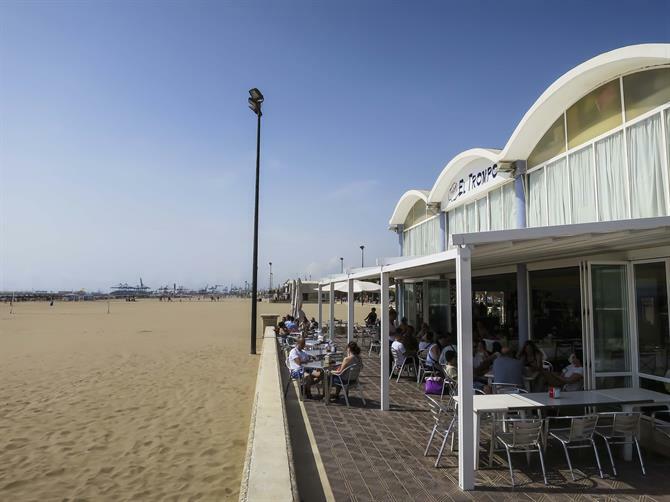 This Valencia beach has many bars and restaurants along the main road which skirts along the edge of the beach area. 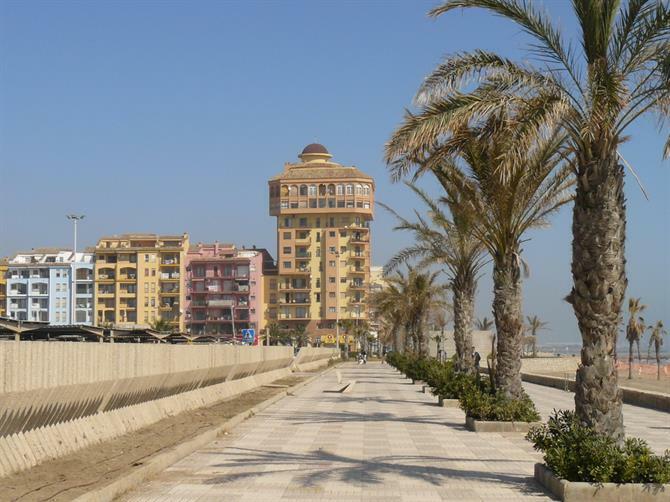 It is also disabled friendly in many parts of the beach, with special ramps and wooden walkways enabling those with wheelchairs and prams etc, to access the golden sands. This beach is perfect for a family holiday to Valencia. Last on this list is a journey out of the city in a southerly direction, to the delightful town of Cullera. Like many Mediterranean towns, Cullera is split into two parts: the town and the beaches, dominated by a small mountain known as the ‘Munt de l'Or’. Upon arrival, you will find a real Spanish town and authentic beaches enjoyed by locals and also Spanish tourists from Madrid. It is rare to see or hear many foreign tourists here. The beaches in Cullera are an ideal getaway for those who want some peace and a variety of beaches to choose from. You will find many traditional Spanish restaurants in Cullera serving the finest in local cuisine at affordable prices. Rent a holiday home in Cullera, villa or apartment for a minimum of a week, so you can fully relax with the whole family. You can visit the San Lorenzo lagoon, which is located at the very edge of the Albufera Natural Park mentioned earlier. You can also go and see the Santa Ana tower which looks out across the beach and the ancient and mysterious Cave of Dragut, once the home of pirates! Some of Spain's best beaches are in Valencia. 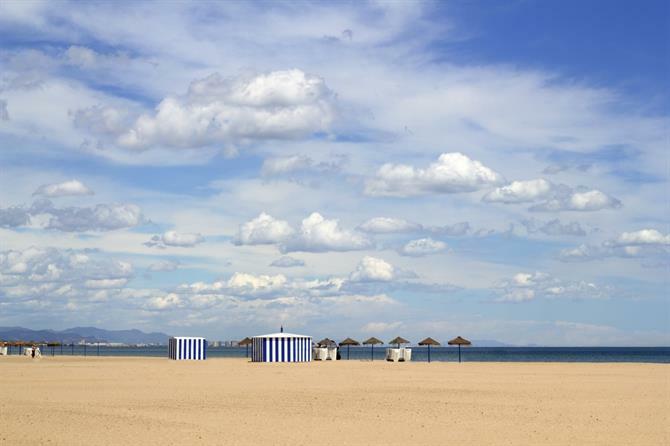 The city of Valencia also has plenty of cool things to see and do making it the perfect destination for a holiday mixing sun, city and beach fun. Enjoy! The city of Valencia is packed with things to do and see, but for the money-saving traveller, we found 4 things you can do on holiday here for FREE!